Thuraya phones are often used in rough conditions and in extreme situations. This Thuraya repair kit can be handy in situations should your Thuraya Hughes 7101 handset get damaged and a service center be out of reach. 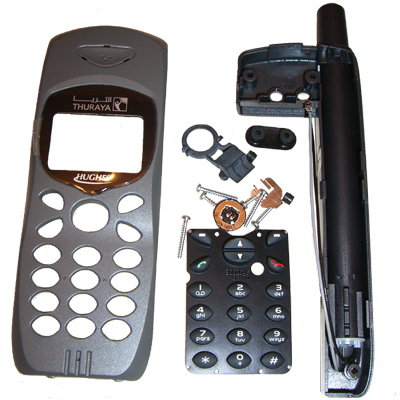 NOTE: Disassembling of your Thuraya phone may void the manufacturer's warranty. Although the parts in this kit are original, SATTRANS USA shall not be liable for any possible damage to your equipment resulting from disassembling, fixing and consequent use of your Thuraya phone with the new parts.